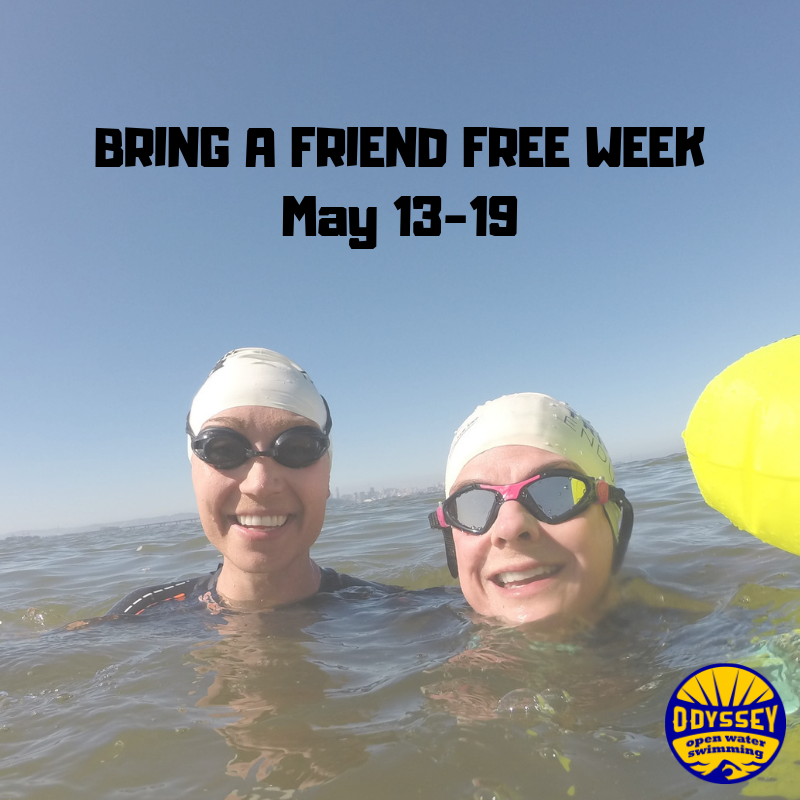 Get your friends out in the open water with you for an unforgettable adventure during Odyssey Open Water Swimming’s “Bring A Friend Free Week” May 13-19. If unfamiliar with Odyssey Open Water Swimming, we offer unique and inviting adventures in the San Francisco Bay. 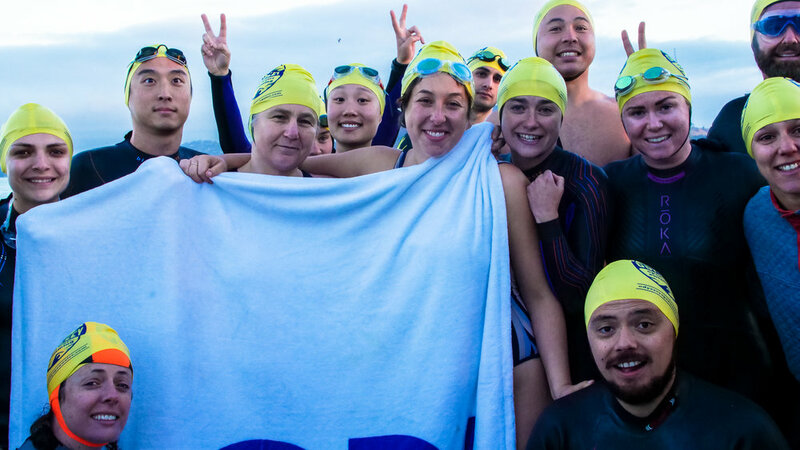 From Alcatraz swims to Berkeley night swims, Odyssey hosts safe events for individuals and groups. To help more swimmers get a taste of swimming with Odyssey, we’re offering a new promotion that will give swimmers a chance to bring their friends to one of two swims for free. If your friends have been thinking about coming out to join us, you can now bring them along for their first swim for free. What better way to give open water swimming a try? Read below for the full details and we hope to see you (and your friends) May 13-19. During the week of May 13-19, there will be two Berkeley swims, held at the Berkeley Marina. Odyssey swimmers will be able to bring one or more friends who have not previously joined us on a swim (with a limit of 5 friends for any one swim) to a Berkeley swim. To register, simply sign up for a swim on our calendar, bring your friends, and have them fill out a waiver on-site so they can participate. Although you will pay the regular fee ($20 on-site, $18 online ahead of time), your friends will pay nothing! The two swims that week will take place on Tuesday, May 14 at 6 p.m. and Sunday, May 19 at 10 a.m. You can register online or in-person. Our hope with this promotion is that your friends, like most of our first-time swimmers, will instantly fall in love with both open water swimming and the friendly, motivated group of swimmers who come out regularly for our swims and join us for weeks, months, and years to come! Are you ready to join us? Please contact us with any questions about this promotion or our upcoming swims.